Fast Lane donates a Sony PS4 with a virtual reality unit to the charity organisation ellenor. 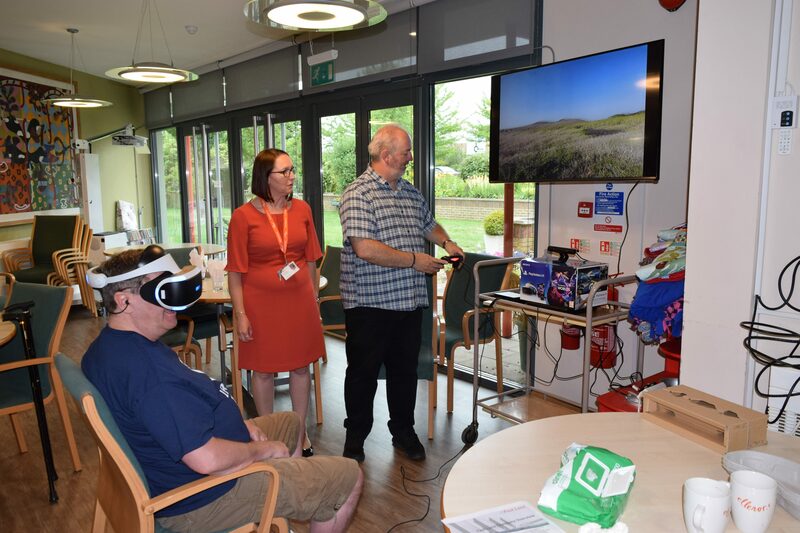 The Charity ensure that all families facing terminal illness get the right support, and hopefully the virtual reality experience can help immobile patients to go on journeys they had previously dreamed of. For more information about ellenor and to also find out how you could support them go to www.ellenor.org. You can also catch the TV series that is currently running called “The Hospice”every Tuesday night at 10pm Freeview 93, Sky 159, Virgin 269, freesat 164. Ellenor's mission is to lead and coordinate the best personalised care for all ages, sharing our expertise to ensure that all families facing terminal illness get the right support in the best place possible, enabling them to make the most of the time they have. To make a referral call ellenor on 01474 320007, or click here.